10,000 mAh portable charger with LG Li-Po battery for your mobile phone or portable device that can recharge from a USB port. Capacity to recharge most phones 5+ times, tablets 2+ times. 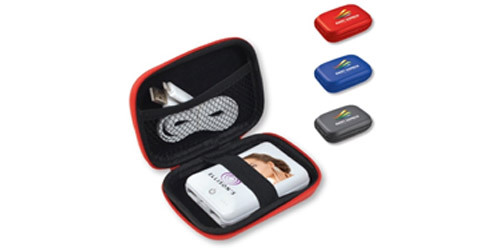 Supplied in zippered eva case with dual cable to charge any phone/device that has a Micro USB or 8 pin input.